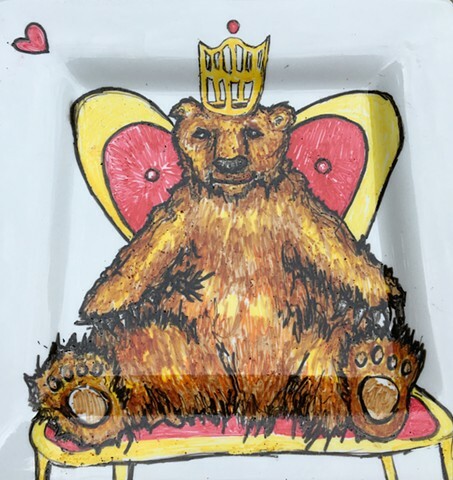 While this particular plate has been sold, contact me for future commissions or to see what plates I have in stock! Prices start at $75. I can complete sets as well. Ceramics are upcycled, and oven fired to 350 degrees, rendering them washable, microwave safe, and food safe.